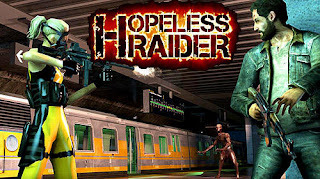 Hopeless Raider is one of the best shooting game I can't stop playing when I started, why? because the games come with awesome graphics, animations, control, sounds and of course it's not hard to play. One of the greatest things about the game is that it also comes along with vast weapons to kill zombies. This Hopeless Raider game, you have to take the hero along the streets of a big city full of horrible zombies and mutants. Apply modern weapons to fight against monsters. This game will take you to the post-apocalypse world where a horrible virus was released from the secret lab and turned most of the people into zombies. In short word, guys! You need to help the hero cope with hordes of zombies, find the virus source and revenge for the family death. 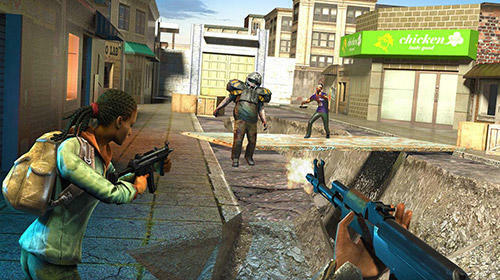 Get rewards for completing dangerous tasks and destroying strong zombie bosses. Buy guns, assault rifles, and other weapons. Perfect shooting feel, enhance the experience.